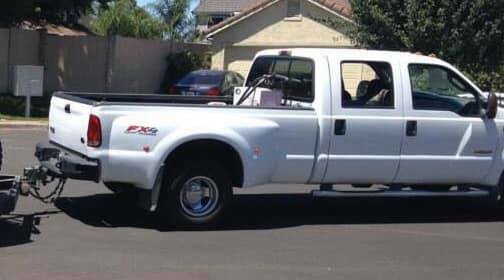 Stolen white 2003 F-350 dually in Antioch, CA. Distinct features include a bed mounted gas tank, a black metal aftermarket rear bumper, and a CB antenna mounted on the driver side mirror. Vehicle was stolen on 28 March from Kaiser Permanente Medical Center in Antioch California. Please share and be on the look out for this truck.